Do we consider this news as discouraging or not? A recent tweet from Roland Quandt suggests that ASUS is working on their next generation Zenbo robot. That’s find and dandy and not a surprise because tech companies work on the next generation of products once the current product is released. According to Roland Quandt, ASUS is looking to use a Qualcomm Snapdragon processor instead of the current Intel Atom processor. The reason behind a move like this is because of the AI technology that Qualcomm is putting into their processors. Certainly this makes sense. ASUS is working on the second generation of their Zenbo Android-based home robot. Looks like Intel Atom is out, Qualcomm Snapdragon 845 likely in (bc of the AI stuff QC is able to offer). Super-early though. The details within the tweet are not the interesting part. What’s interesting is that we haven’t had any real news regarding more countries getting a Zenbo release. Delays can happen but it has been eerily quiet and then this tweet about the next generation. Which gives up pause. 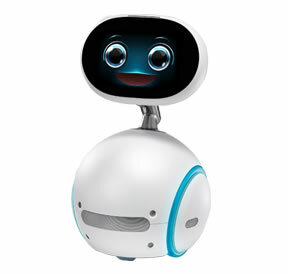 Let’s stay positive on this and hopefully something comes down the news funnel that speaks to a release date on a more global scale for Zenbo, generation 1. Zenbo when released in Taiwan depended on accompanying service which of course require agreements between companies. So for the US market, I would seem likely that these partnerships would take time in addition to having everything set up so that it’s working and the best user experience possible. Is the 2018 version available? P.S. my email name is not correct. It is just a pen name.